Property 3: Eastman Lake Vacation Home - Everything You Need, No Extra Fees! Property 4: 2 Bedroom Rustic Vermont Lodge - Great Ski Location & Full A/C for summer fun! 2 Bedroom/1.5 Bath Condo, Close to All Things Quechee! Property 10: 2 Bedroom/1.5 Bath Condo, Close to All Things Quechee! Property 12: Serene 3BR Grantham Condo w/Lakefront Views! Property 16: 2 Bedroom Condo in Quechee, ~VT~ - a Four Season Community! Bright, Spacious 3 Master Bedroom Condo w AC, ON GOLF COURSE - PET FRIENDLY. Property 18: Bright, Spacious 3 Master Bedroom Condo w AC, ON GOLF COURSE - PET FRIENDLY. Property 19: Pet Friendly Newly Renovated 2 Bedroom with full A/C - Close to Quechee Amenities! Property 22: Luxury Mountain Home Featuring 2 Master Suites and Spectacular Views! 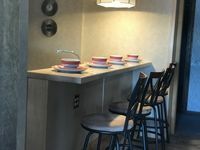 Property 29: 3 Bedroom Quechee Lakes Luxurious Townhome with Spacious Kitchen, Living Area & Ping Pong Table! Property 31: Stonewall Silver Unit #1, Direct Lake Front Access, Private Dock! Quechee Condo - Ski/Golf/Tennis/Lake/Pool ~Out The Back Door! Property 33: Quechee Condo - Ski/Golf/Tennis/Lake/Pool ~Out The Back Door! 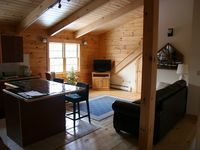 Property 36: Pet Friendly Ski-On/Ski-Off 3 Bedroom + Sleeping Loft Condo - Close to Quechee Club! Property 40: Quechee Lakes Golf and Ski Condo; COUNTRY CLUB LIFE! Immaculate 3 bedroom plus loft and 3 bath end unit condo with a fantastic view. Property 41: Immaculate 3 bedroom plus loft and 3 bath end unit condo with a fantastic view.